Basic audio recording will always be useful for many people. 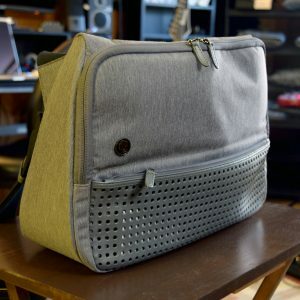 For note taking, for capturing live performances, for capturing practice sessions and jams. And much more. 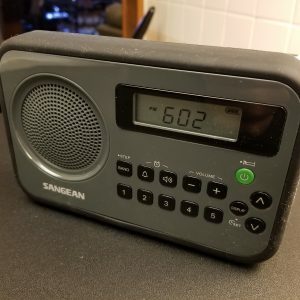 As an audio producer and overall audio-minded guy, I like to always have a simple digital recorder available at any time to capture jams and other musical situations I get into. If come up with a good guitar riff, I like to break out a portable recorder and grab a quick snapshot of it so I don’t forget about it. If I’m jamming with friends in a basement, I like to break out a portable recorder to capture the jam session digitally, and share it online with the friends I was jamming with practically same-day. If I’m in business mode, sometimes I like to capture notes and thoughts via audio (note to self…). 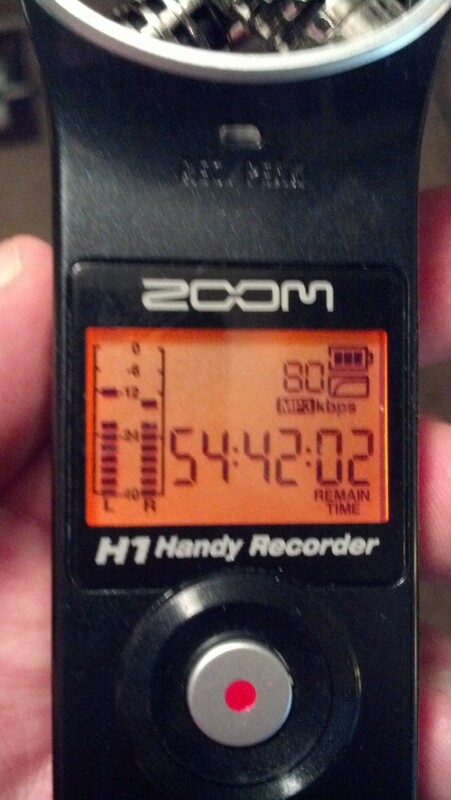 As of late, the Zoom H1 digital recorder has been my go-to. I needed a basic digital recorder that could record stereo, in WAV format (I’m not a big fan of MP3 for audio capture), on the fly. And I wanted to spend less than $100. 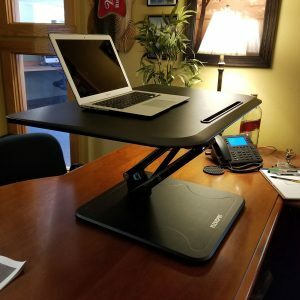 I had been planning on buying one of these online, likely from Amazon. But then I ran across a used one in a local pawn shop for a pretty good price. Being the frugal person I am I bought the used version, took it home, cleaned it up nice, and put it to work. The guy that owned it before me had some pretty interesting opinions on life, but I didn’t listen all his recordings, I just deleted them and got to work with my new unit. I keep this audio recorder in my backpack at all times. My backpack is like my mobile office, where I keep a laptop, iPad, chargers, leatherman knife and now my audio recorder. It means I always have it on me. I often jam (mostly metal) at a friends house, I play the drums, he plays guitar. Whenever I stop over to jam, I always have this recorder on me. I put it in the corner of his jam room and record the entire jam session. I have hours upon hours of this stuff recorded at this point. It’s fun for us to be able to go back through our jams and find ideas that we can work on more or turn into songs. I also tend to use this to capture guitar riffs when I’m jamming alone. It helps me write riffs and music when I can capture ideas at any moment. That way I know that a new riff that I came up with won’t be forgotten. And I also use this device for audio sampling. I like to take drum samples, for example, from live drum kits for use in electronic music. During business or work situations, I’ll also use this as a quick note recorder. Sometimes I’ll record meetings if the situation makes sense. The unit works pretty much how you would expect it to work, which is why I really have no complaints about it overall. I never even read any instructions and use it just fine. There is a power button to turn it on. There is a bit record button right on the front that starts recording in one click. There is a switch to select between MP3/WAV recording. There are buttons to play back clips that you have recorded, or to delete unneeded clips. There is a switch to cut low-end during recording. There is a switch to choose auto-leveling (which I prefer to use most of the time). This device has a 1/4″ audio jack to output to any other audio device or stereo for playback. There is also a USB port for plugging into a computer to transfer files and recording. There is a microSD slot for card swapping. There is a tripod mount if you are particular about mix placement. The H1 runs on a single AA battery, and is actually pretty good on battery life. And last but not least, this device has a speaker on board, so you can listen to your recordings on the fly as well which is nice. I find the audio quality to be acceptable. I haven’t analyzed the quality with any sort of testing criteria. But what I do know is that the playback sounds accurate. There is very little noise, if any, when I record in WAV. The audio is very clear and flat. It doesn’t sound to me like the device adds any “color” of any sort. For my needs (and I am pretty picky) I like how this unit sounds in WAV recording mode. When recording in MP3, there is noticeable artifacts and compression in the audio. It’s not bad, but you can tell the difference between MP3 and WAV for sure. And with the fact that I can record hours and hours of audio even just in WAV mode, I pretty much only find myself recording in WAV due to the quality difference. MP3 would be useful if I had to capture lots of talking or meetings, in my opinion. It’s not so good for musical purposes when capturing audio. Do I Recommend This Recorder? 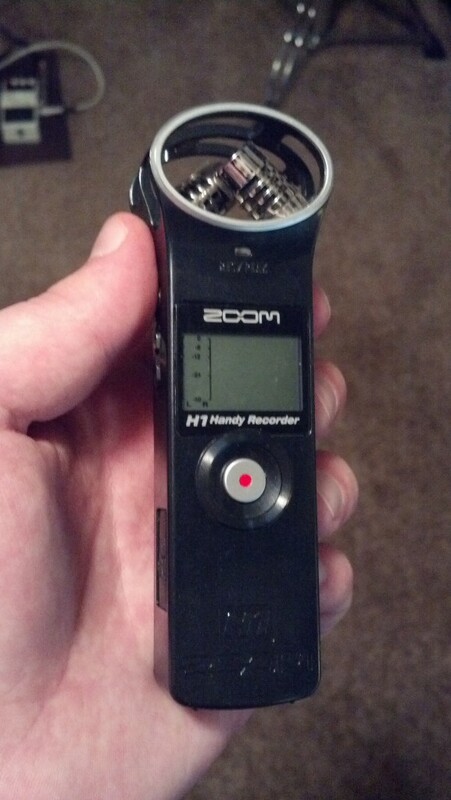 Yes, I can recommend this recorder for anybody that needs basic stereo audio recording for under $100. 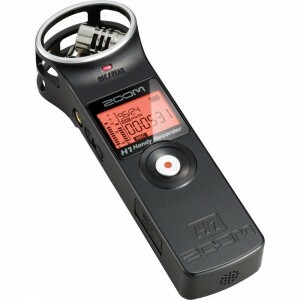 I consider a device like this to be the easiest way to capture raw audio, and it does it well. Think of this recorder as a good digital audio notepad, and it will fit those requirements well. It multi-purposes make it very useful for me, and the ease of use makes it something that actually use often. You can read more reviews from other buyers here. Where can you buy this recorder? This recorder has been on the market for a while so it might pop up in local shops that sell electronics and audio recording devices. Like I said, I found mine in a pawn shop. It’s also available online, and that is probably your best option if you want to buy it new rather than used. Amazon usually has it for under $100 and you can usually get free shipping from them too.